It’s Friday, it’s pouring and after a long time I don’t have to get up early on Saturday which means it’s movie time! Couple of classics, my blankie and something to nibble on. 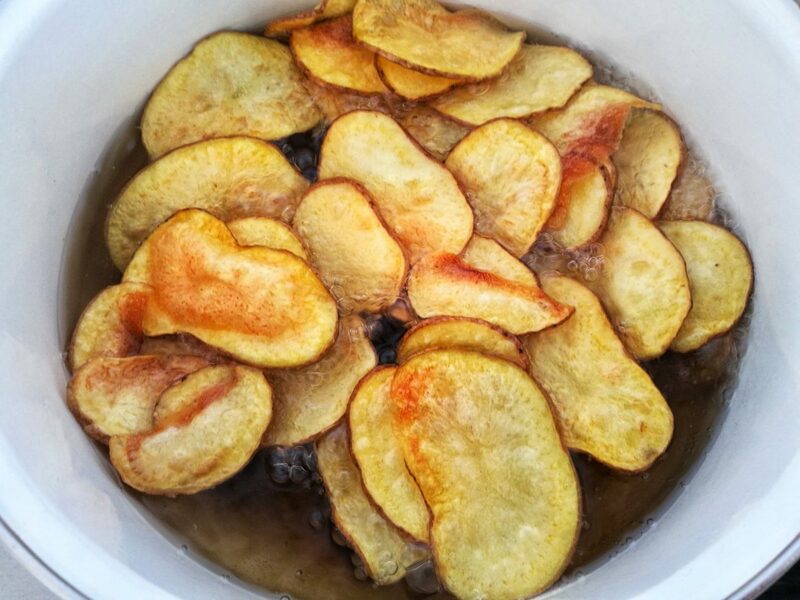 Since I’m more of a, keep that chocolate for yourself, give me something salty and crunchy, I decided to share my recipe for its majesty: the chips. 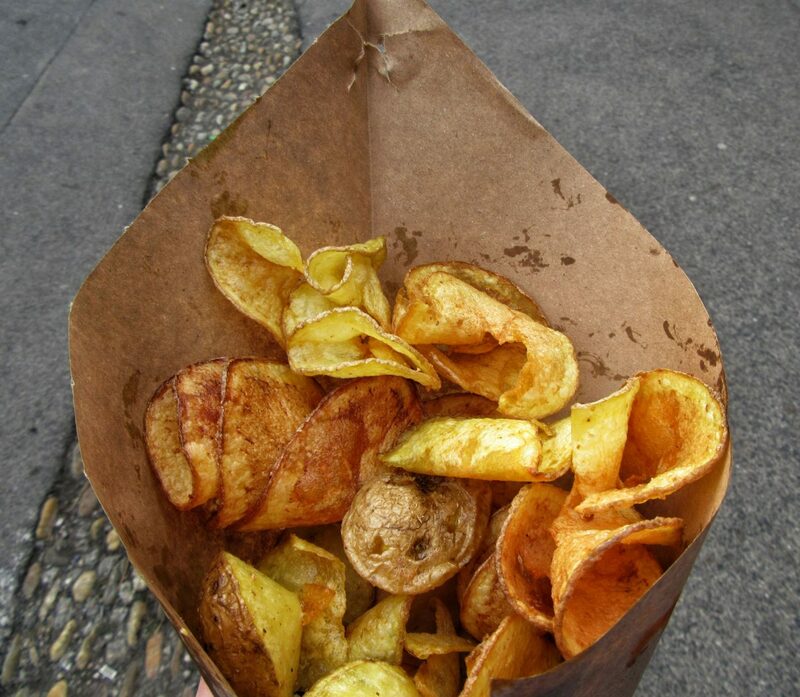 For me chips should represent the best of potatoes: it should be crunchy, golden and salty just like I like it. 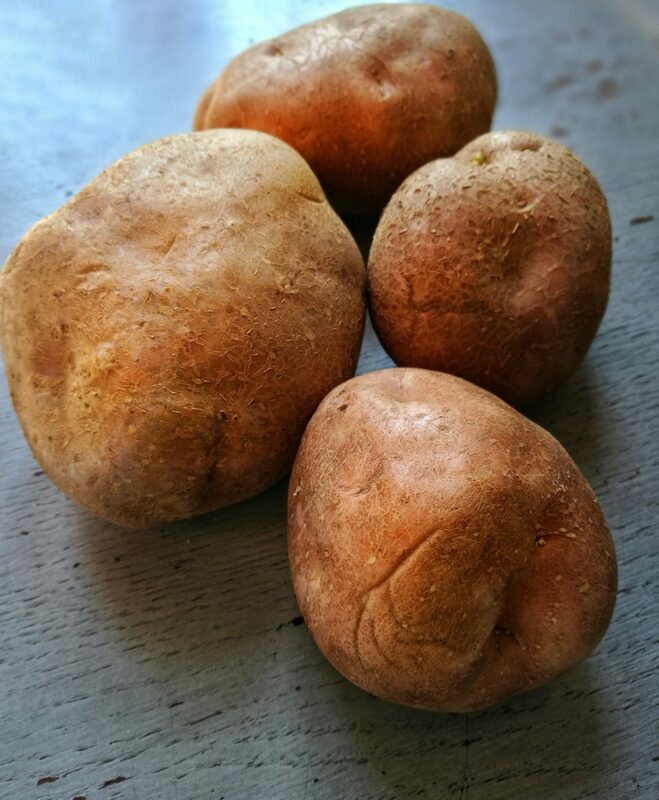 Wash and dry RED potatoes (not the classic yellow ones,they contain too much water) but don’t peel them. Now the most important part. 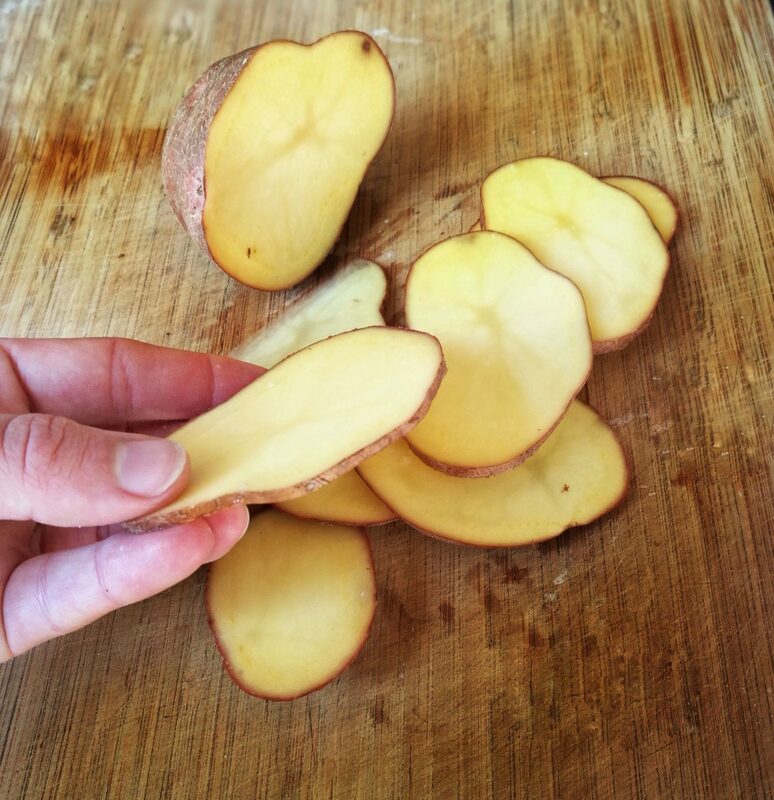 Slice the potatoes by hand (not mandolin) to couple of millimeters thick. Pat dry with paper towels. Heat up the oil on high heat in a deep pot. 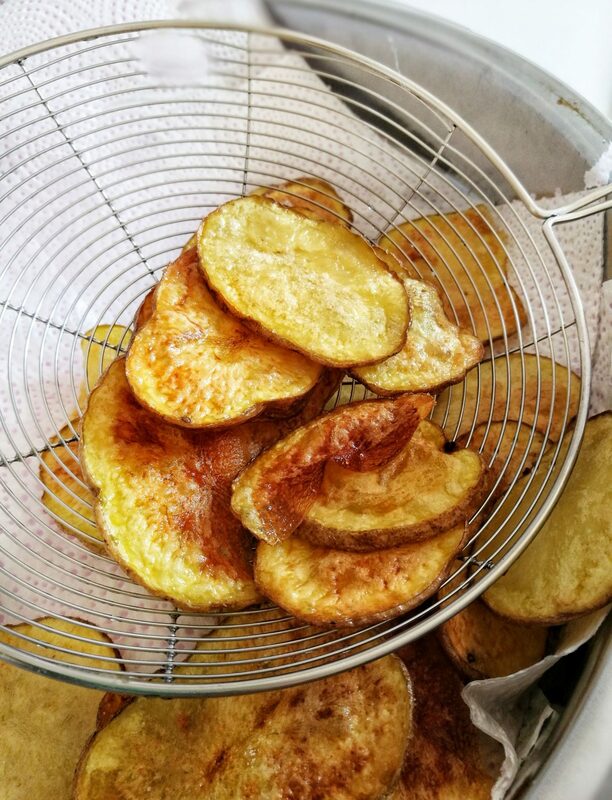 When it starts to smell, reduce to medium heat and fry the potatoes in batches. 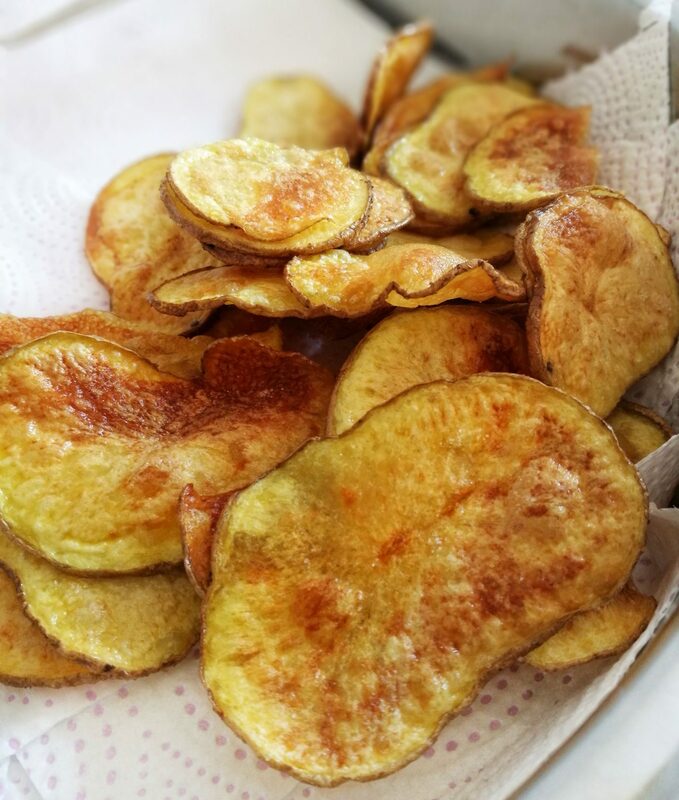 Don’t overcrowd them so they can crisp up. When golden, take out and dry properly. Season and serve. Hot or cold, they’re great. You can make a cone out of paper and serve them like that if you’re in a rush.